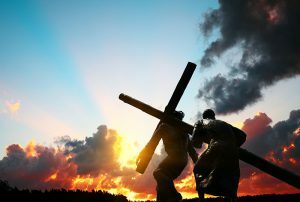 The message of the cross is difficult to take. How can death give way to life? How can weakness be strength? And suffered the worst kind of death. This message is indeed difficult to take. But your foolishness is wiser than our wisdom. Your weakness is greater than our strength. Help us to know that none of us can boast before you. It is only in Christ Jesus that we can boast. In his name, we ask you to help our unbelief. 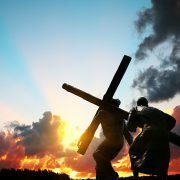 That we may love you, and walk in the way Jesus taught us. 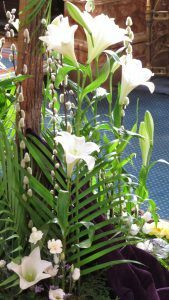 How can we grow in faith during Lent? A time of year when nature wakes up from its winter slumbers as the days lengthen (the origin of the word lent) and the plants begin to grow. And a time when we as Christians can cast off our slumbers and grow in our faith, discipleship and care for others and the planet. Where you can meet with others and get to know them better as we look together at the bible, discuss our faith, air our questions and our experiences – all to help that process of growth! 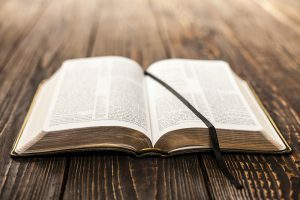 This year our groups will be looking at what we believe through exploring our creed – I believe in God…in his Son Jesus Christ….in the Holy Spirit. When did you last think about what you say when we recite the creed? Sign up at the back of church and we’ll make sure there’s a book for you. 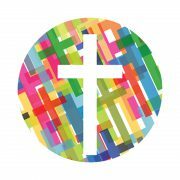 LENT LUNCH – a time to share together over a simple meal of soup and bread, Wednesday lunchtimes 12:30, beginning on the 13th March. 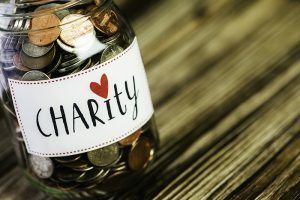 Donations to Christian Aid. 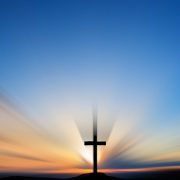 EARLY COMMUNION – a chance to get up early to meet with Jesus each Tuesday morning in Lent 7:45 – 8:15am. 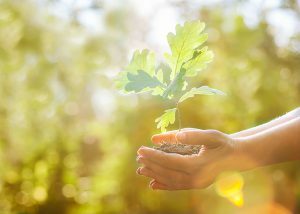 Both giving something up and giving to others help us become more appreciative of all we have. Christian Aid’s Count Your Blessings booklets give a reflection for each day, learning from the experiences of those who live at the sharp end of climate change. There are challenges for prayer and action and a space to make a note of what you wish to contribute for that day. At the end of Lent, tot up the sum and send it to Christian Aid. http://www.allsaintsclaytonlemoors.org/wp-content/uploads/2017/11/shutterstock_272616227.jpg 433 800 SiteAdminAS http://www.allsaintsclaytonlemoors.org/wp-content/uploads/2017/11/all-saints-logo-300x200.png SiteAdminAS2019-02-17 15:39:152019-03-12 16:05:15How can we grow in faith during Lent? Electoral role, how it effects you! Do you ‘belong’ to All Saints’? 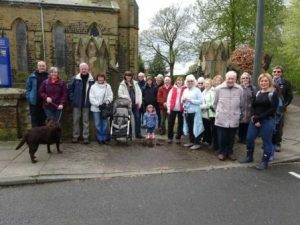 If so, you may wish to have your name on the electoral roll, which is the list of those entitled to take part in the annual parochial church meeting and stand for election to the PCC. This year, church rules require us to complete a new roll, so even if you are already on the existing roll, you will need to complete a new form. Forms are available from either church or from our electoral roll officers. The deadline for returning your form is 7th April for All Saints, Clayton. 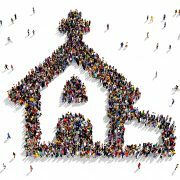 The Annual Parochial Church Meetings for each parish will take place during Morning Service on 28th April at All Saints’. 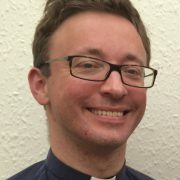 http://www.allsaintsclaytonlemoors.org/wp-content/uploads/2017/11/shutterstock_261732944.jpg 727 800 SiteAdminAS http://www.allsaintsclaytonlemoors.org/wp-content/uploads/2017/11/all-saints-logo-300x200.png SiteAdminAS2019-02-13 14:13:082019-03-12 16:03:52Electoral role, how it effects you! Did you know that All Saints’ Church is a Fairtrade Church? We use Fairly traded tea, coffee and sugar for our refreshments and we take opportunities to encourage parishioners to consider buying fairly traded goods. For many years we ran a fair trade stall, but with many such products now available in the supermarkets, it was being used less and we decided to close the stall. For a full range of fairly traded goods, why not visit One Planet Fairtrade and ethical shop on Abbey Street, Accrington? Fairtrade fortnight is a time to celebrate the people who grow our food, some of whom live in the poorest countries in the world, and are often exploited and badly paid. This year the focus is the people (mainly women) who grow the chocolate we love so much. £1.86 is the amount a cocoa farmer in West Africa needs to earn to achieve a living income. Currently a typical cocoa farmer in Cote d’Ivoire lives on around 74p a day – needless to say almost all live in poverty. 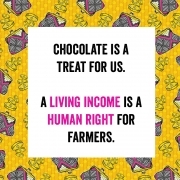 So please buy Fairtrade – and please join the campaign for all cocoa farmers to earn a living wage. Why not start by ordering a Real Easter Egg from church now. 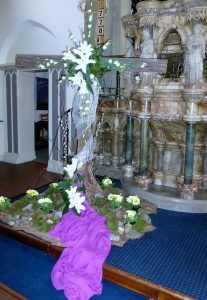 Quality milk or dark chocolate, fairly traded, and with a 24 page booklet with the Easter story for just £5.50 – sign up at the back of church for yours. 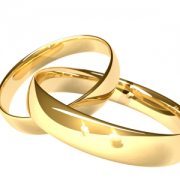 As we approach Valentine’s Day what better time is there to celebrate Marriage and Family life. 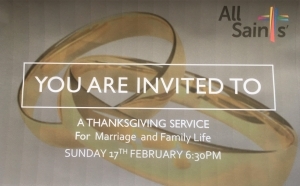 Why not join us in a thanksgiving service in Sunday February 17th at 6:30pm in All Saints’ Church? 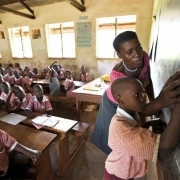 Malawi School Appeal – can you help? Do you have any of the following items which you do not want? If so please leave at 71 Sparth Road or in church. 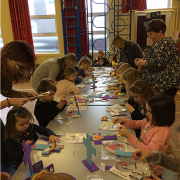 http://www.allsaintsclaytonlemoors.org/wp-content/uploads/2019/01/School.jpg 565 850 SiteAdminAS http://www.allsaintsclaytonlemoors.org/wp-content/uploads/2017/11/all-saints-logo-300x200.png SiteAdminAS2019-01-13 15:10:222019-01-21 15:28:10Malawi School Appeal - can you help? 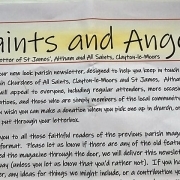 The new style Benefice magazine was been launched this weekend. It has a more modern and hopefully appealing look. It will be available free in church and from various locations in Clayton and also on this website. Why not take a look at it now.